The people behind SlotsMillion, LadyLucks and Casino Lemonade have unveiled the industry's first online casino comparison website, FeedBACK Casino. 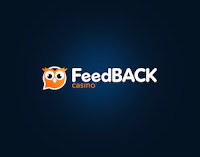 FeedbackCasino.com allows you to compare online casinos and benefit from online community feedback and reviews. Founded on a �find and compare� principle, Feedbackcasino.com allows you to identify preferred online casinos by applying different filters, such as payment methods, software and types of games.